Life's tough enough but having to worry about whether you "pass" must be horrendous. Not having a father in your life could not have been easy either. 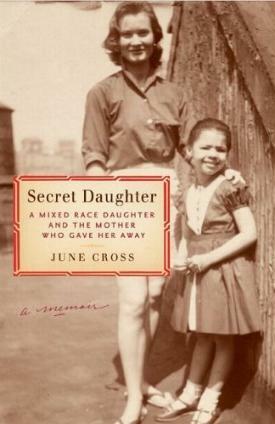 June Cross eloquently tells her life story - her white mother and her African American father - her growing up in the 50s and 60s, living with friends in Atlantic City while her Mom lived in New York, and later Hollywood, and her slowly coming to understand the racial divide and how she fitted in. She vividly recalls those times, people, attitudes, the Civil Rights Movement, coming to understand what "colored" meant, having at certain times to call her mother "aunt", and her initiation into journalism at Harvard. The life she spent with Aunt Peggy and Uncle Paul was the polar opposite from the times she spent with her mother. Much freer and more sure of herself at Mom's, it must have been endlessly confusing for such a little girl. In her late twenties she worked as a reporter on The MacNeil/Lehrer Report, all the while discovering more about her father's career while moving in Hollywood circles with her mother and her husband. She also talks about her half-brother and half-sister, and how she confronted her mother late in her life about why she left her. Conclusion - Extremely moving and eye-opening.